Twitter implements more features; ignores its broken platform. I read a little blurb on the Twitter Engineering Blog yesterday that got me thinking. According to the blog, Twitter will stay its current course when it comes to tweet storing; that course being MySQL. In view of this, Twitter won’t be migrating to Apache Cassandra for tweet storage. Our analytics, operations and infrastructure teams are working on a system that uses cassandra for large-scale real time analytics for use both internally and externally. Internal and external analytics. Now there’s a nifty idea for the blue bird. Of course, the monetization of those analytics is potentially huge. With Twitter constantly pushing itself more toward business viability, it only makes sense to integrate features that will benefit the people who will use it. Twitter is broken. Until it is fixed, nothing else matters. The adage “Band-Aid on a broken arm” seems to come to mind when talking about Twitter’s latest ways of dealing with problems. As it gains users and acquires business, it still can’t seem to go for a day without displaying a fail whale or having to throttle its services so heavily that it becomes almost unusable. Now, let me be clear, I am not sitting here screaming that I know the answers. However, that’s not my job. If Twitter starts to pay me to come up with ideas to fix things, then I’ll spend some time doing just that. For now, however, all I do is write about it. Even at that, though, people unrelated to Twitter have come up with solid ideas about how the service could ease some of its overhead while bringing in more revenue. It is, clearly, easier to assess situations when you’re not involved with them. But it just seems to make sense that Twitter has to make some changes in order to acquire the viability that it wants to have. In short, new features don’t matter. I’d venture to say that the majority of Twitter users only care that they’re able to use the service as intended. 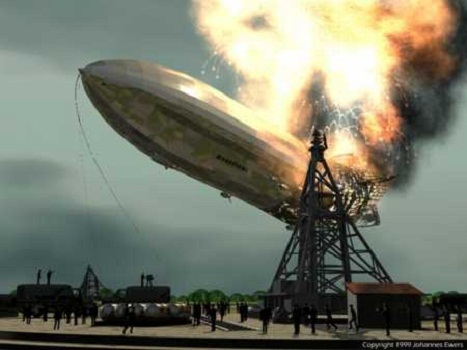 You can paint the Hindenberg any color you want, you can tout its features forever and it will still crash and burn.